You must be a member of the Paris Spontaneous Activities Group to attend this activity. Would you like to join this group? I hope you started the new year with joy and happiness! 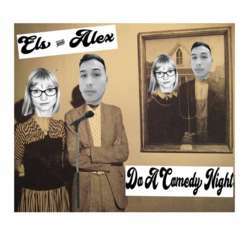 :) And in order to bring some more, we are organizing another evening of stand-up comedy with Els & Alex - this time a special roast edition! So come along and join a juicy, memorable show sprinkled with witty jokes and lots of laughs. Meeting point: Inside the theatre. Alex & Els will be greeting you, as I am currently out of France and won't be able to tag along for this event unfortunately.